God is in the acronym business. Who knew? Sometimes God’s love and His plan unfold in ways we never would have predicted or imagined. “Clogging is not a plumbing problem,” proclaimed a ragged T-shirt worn by the director of our Bailey Mountain Cloggers dance team at Mars Hill College in the beautiful hills of western North Carolina. 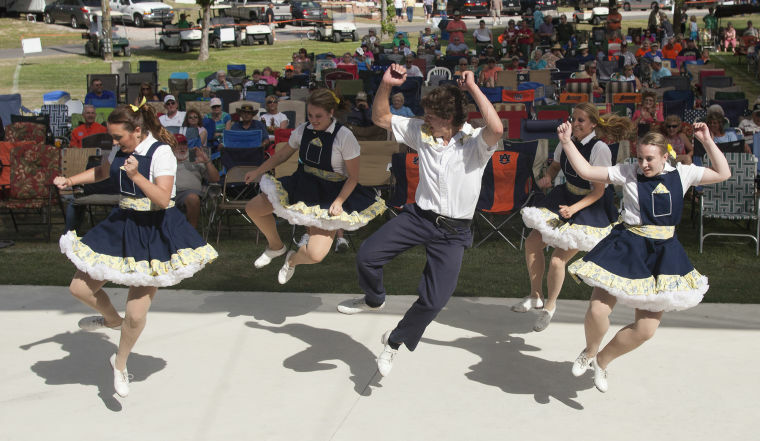 This championship-caliber group has represented the now-university very well over the years in a region where clogging remains a popular form of dance, combining quick tap steps and lively kicks with creative formations that resemble square dancing. After my sister joined the Bailey Mountain Cloggers, I became interested. Successful my second time trying out, I danced with the team for one year – my senior year. Jane had already graduated; I wish we had had the chance to be on the squad together! The team danced at college hoedowns and in a handful of competitions. During the 1982 January mini-term, we loaded ourselves into a van pulling a U-Haul trailer of luggage and sound equipment. Thus began a tour that would have a life-changing impact on me. For several days we performed at schools and other institutions in Florida. Then, we stopped back by the college, took a day to wash dirty laundry and to re-pack, and headed north to Ontario, Canada, for more performances and a local television spot. Something unexpected was happening to me during that trip. Twenty-one years of age at the time, I had struggled with a terrible nail-biting habit virtually my entire life. Perhaps only those who have been down the road of unbreakable habits can understand the self-disappointment, the embarrassment, the unanswered prayers for an instant miracle, and the unsolicited input of other people ranging from censure to pity that a hard-core nail biter endures. During that tour of clogging performances, the audience participation dances had us holding hands with strangers in a large circle and “promenading” with our assigned partners. Too, we rode for hours at a time in that dirty van, before the days of hand sanitizer and anti-bacterial wipes. Under those conditions, even I found the common sense not to put my fingertips into my mouth. Enough days of this routine passed that – miracle of miracles – my fingernails grew enough for me to see what I had been missing all of those important years. I was amazed and intrigued. I was astounded and proud. The writers of scripture knew how important it is to review and to retell how and where God has led His people. You and I have personal stories to share of what God has done. Thanks, Dennis Anderson, for your feedback: “This post is one of my favorites! ‘…wearing ten miracles.’ I love it!” I do love sharing this story, because it is so amazing and poignant. All those awkward teenage years through school I lacked confidence as a young lady so much because of that one thorn in my flesh. It helps me to understand the nature of addiction somewhat – hating what you’re doing and not having the ability to stop. Last night I painted my 10 miracles in honor of today’s post! Betsy, this really touched me! There are so many times I must take things for granted and forget to praise God for all of His amazing works. I also forget to thank Him when my seemingly small things matter to Him! So thank you or sharing! On a different note, you write very well! Keep it up! Thank you so much for reading and for your comments, Lorrie. This is such an unusual story, and I do give God all the praise for working out a great need in my life in such an unexpected way. If only all ‘nail biters’ could read your testimony, they would all be encouraged to find their way.